Read supporting statements about our legislative priorities in this edition of the Voter. Nearly half the electricity consumed in the US comes from burning coal, 16 pounds per day for every person in the country. Thirty percent of that coal comes from Appalachia. Burning coal is the major source of greenhouse gases worldwide. Mountain top removal mining has destroyed 500 mountains in Appalachia, destroyed 1,000,000 acres of forest, and buried 2000 miles of streams. Nearby residents suffer health effects. Whole communities are uprooted. How long can this go on? Is there a better way? 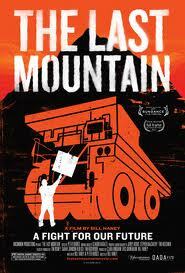 The documentary film, The Last Mountain, looks at how we meet our energy needs, alternate energy sources, and how citizens can affect the energy choices our country makes. We will hold a Voter Service’s meeting on February 1, 7:00 p.m. at Kitty Lozier’s home at at 345 Virginia Avenue. We will hold our Natural Resource Committee meeting on January 17, 7:00 p.m. at Kitty Lozier’s home in Morgantown at 345 Virginia Avenue. Privatization of Governmental Services is a study sponsored by the League of Women Voters of the US and will be the topic of discussion/consensus at League of Women Voters meetings all over the United States. Federal, state and local governments own extensive assets and are major employers. Governments often consider selling assets, and outsourcing some functions and services to the private sector, including “core” government services such as providing for the safety, security and general welfare (public well-being) of citizens, the economy, and our country. Privatization of these government assets, services, and functions has been occurring for decades at all levels of government. The consequences of “privatizing” a government service or function, in particular, may enhance the function or service. Alternatively, it may reduce or alter functions and services. Government revenues may be reduced or lost and jobs may be cut. In some instances, this may have a detrimental effect on the “common good” or public well-being. The purpose of this study is to identify policies and parameters that should be considered when any governmental entity is planning to undertake some type of privatization process. Substantive information about the study is available on the LWVUS website, http://www.lwv.org/member-resources/privatization.